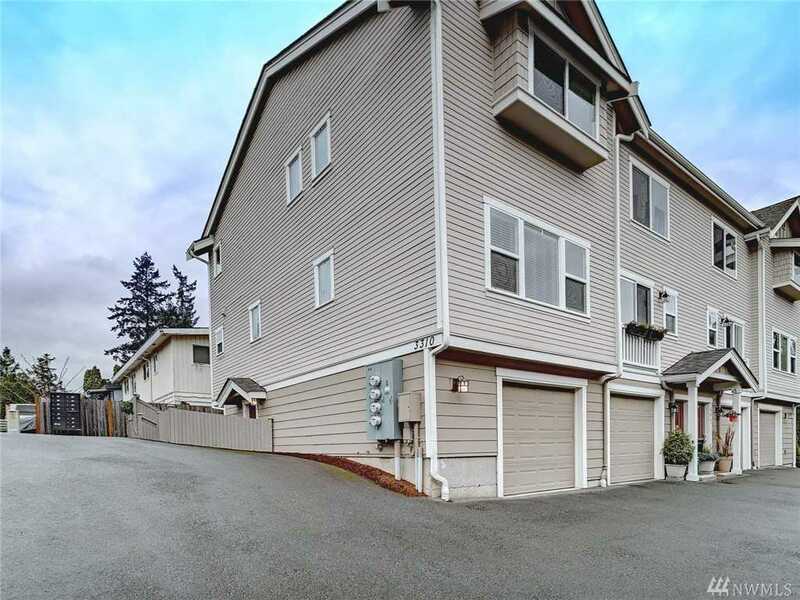 Light filled townhome with vaulted ceilings upstairs and a large master bedroom with a walk in closet. You’ll enjoy the private deck and your own fenced and gated outdoor space. Fantastic floor plan for someone who works at home. This turn-key home has modern colors,stainless appliances, and quality carpet. You’ll love the open floor plan, recently painted exterior & interior, spacious garage with extensive shelving! End unit for extra privacy! Extra off-street parking! 2 walk-in closets. Directions: 35th Ave NE to 123rd and turn west or take Lake City way to 123 and turn west. Park in the off-street parking as shown in the last picture. Walk down to the townhouse.